Whether employed by museums, military bases, or casinos, security guards and gaming surveillance officers observe and patrol operations to maintain order and protect property against theft, vandalism, and illegal activity. 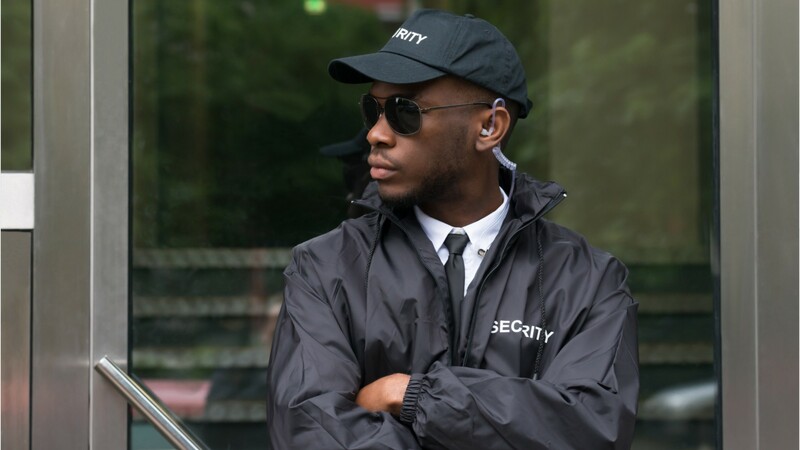 Security guards enforce rules on a property, and deter criminal activity, either by walking the facility and grounds to conduct security checks, or monitoring surveillance cameras and alarms. They guard merchandise in retail stores… students and facilities at universities and schools… verify visitor IDs and keep facilities safe at factories, office buildings, hospitals, and military bases. At sporting events and concerts, guards control crowds and direct traffic… while at bars they may collect cover charges and check IDs. At casinos, gaming surveillance officers and gaming investigators watch video monitors fed by hidden cameras to check for cheating and theft —by either employees or patrons. They notify security staff when they spot any potential trouble. Security and surveillance work calls for either many hours sitting in front of screens, or long shifts spent standing or patrolling. It can be routine work…. until a problem arises when it can become hazardous. Work schedules typically include nights and weekends. Most positions require a high school diploma or equivalent. Experience with video surveillance is helpful. Security guards may need to register with the state, especially if they carry a firearm. Drug testing is common, before and during employment. See more details at O*NET OnLine about security guards. Security Guards by U.S. Department of Labor, Employment and Training Administration is licensed under a Creative Commons Attribution 4.0 International License.